Snow Patrol: coming soon to an Apple handset near you. 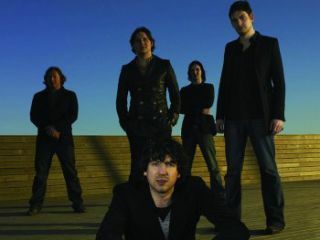 Snow Patrol have revealed that they'll release a special application for Apple's iPhone and iPod touch devices when they launch their new album, A Hundred Million Suns, this Autumn. According to UK trade paper Music Week, the downloadable app will enable fans to download a selection of album-related extras, including artwork, behind-the-scenes images and lyrics. Liz Goodwin, the band's product manger, said: "It will be an interactive element; a digital booklet that will take you into the videos and content. "For fans it will be a real must-have, and the fact that they are the first band to do this gives us an additional angle for exposure." And that's really the point, isn't it? By being the first band to do this, Snow Patrol have guaranteed themselves a little extra publicity in the run-up to their new record's release. What MusicRadar would really like to see, though, is an application that gives iPhone/iPod touch users the ability to download and remix songs from a particular artist. A few multimedia goodies sounds all well and good, but this is hardly the groundbreaking idea that the record industry really needs.